The two-volume book “Yamal memorial of Arctic chronicles” (“Yamalskiy Memorial Arkticheskikh Letopisey”) was presented in St. Petersburg. The collection is written within the regional project “Kara Sea Expeditions” and tells about the tragic events and facts that had occurred in the Kara Sea during the Great Patriotic War. 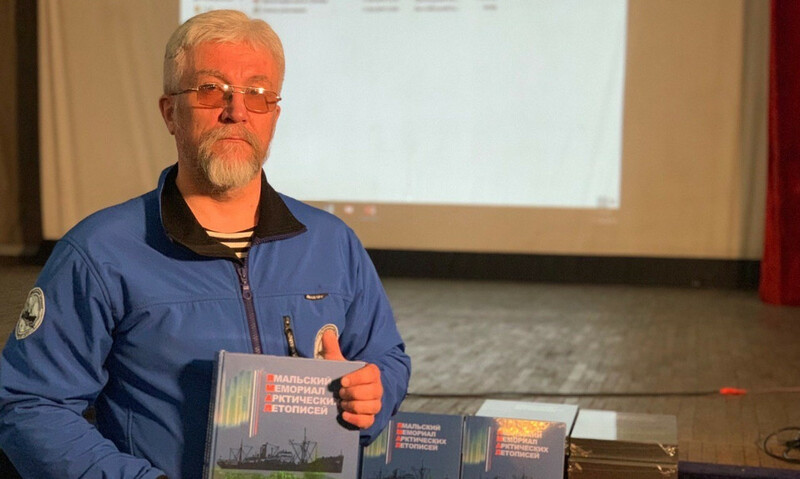 “The presentation of the book in St. Petersburg is significant for me because it is presented to relatives of the participants in the convoy “White Sea – Dikson 5”, said the author of the chronicle, an employee of the center for study of the Arctic Sergey Shulinin. “Military personnel of the Navy military educational and research center in St. Petersburg, colleagues and participants in the project were invited to the event”, he told the news agency “Arctic-Info”. As he notes, the chronicle will be interesting and can serve as a guidebook for everyone, who is busy with search and restoration of historical memory and justice in relation to events and destinies of people during the Great Patriotic War. At the end of the presentation it was given to everyone as a present. According to Sergey Shulinin, within the years of the work on the book the team accumulated a lot of historical materials; and it is planned to publish monographs on history of the convoy “White Sea – Dikson 5”. The presentation of the two-volume “Yamal Memorial of Arctic Chronicles” was organized with participation of the government and the department of external relations of Yamal-Nenets Autonomous Okrug.